What are the Facts? 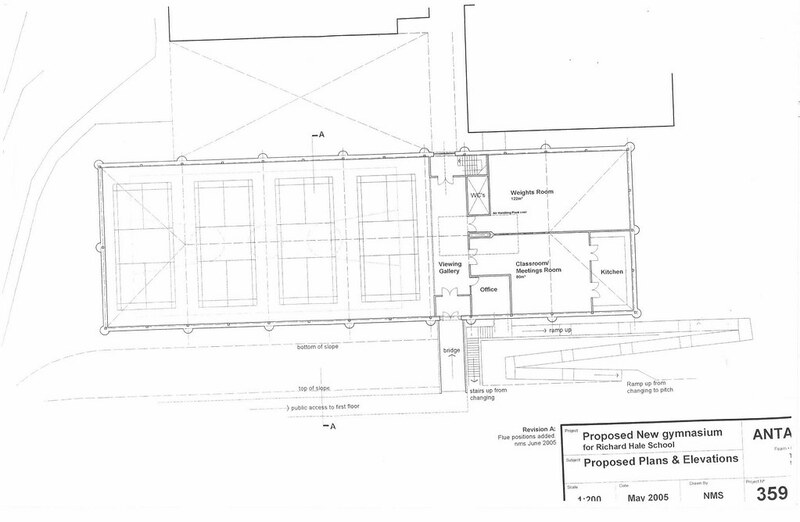 Since 1978 Richard Hale School has been trying to build a Community Sports Hall. 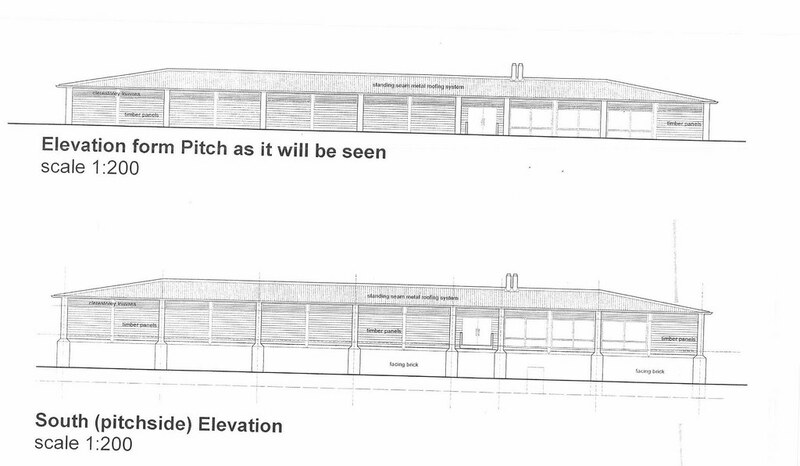 In 2005 through the generosity of parents and friends, planning permission was obtained (see below for plans), and funding was expected from the County. In 2007 the County Council told the school that in spite of being 'second on the list', there was no funding available. In 2008 a school in Ware was awarded £2.7 million for a Sports Hall, even though they did not have planning approval. 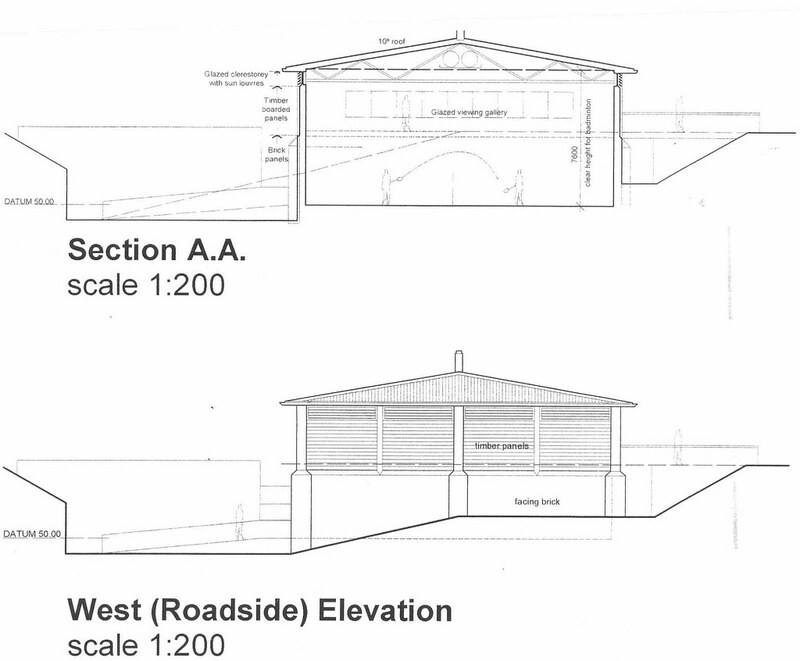 What Benefits will the Community get from this Sports Hall? About 40 hours a week on average. 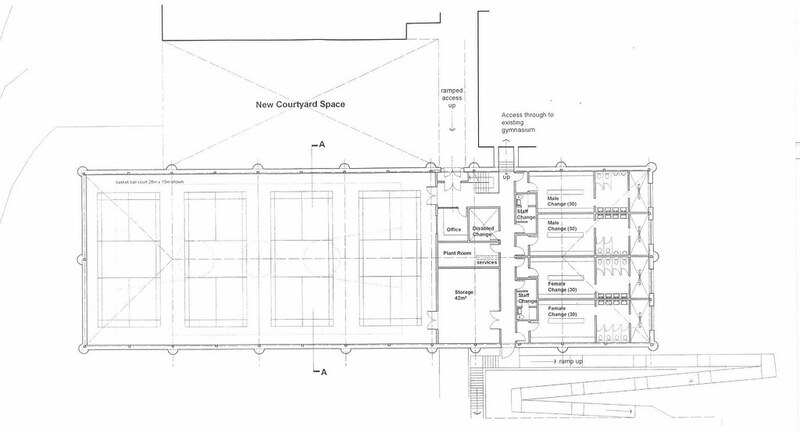 The hall will have four badminton courts, a full sized basketball court and markings for other sports, a multi-purpose room with adjoining catering facilities, a 30 station computerised fitness suite, and changing room. Is there a need for such a facility in Hertford? Yes, and even the District Council acknowledges this and has offered money to the project. Hertford and Ware are expected to use Wodson Park, which is some distance away and really only accessible by car. Ware now has funding for a Community facility, so why has Hertford been excluded? What about Sele School and Simon Balle? I will fight for their needs just as much as I will fight for Richard Hale, but as a Richard Hale School Governor, this is an issue I know about. I question whether anybody is fighting for the School at County Hall. This feeling is reinforced by the fact that, as a result of County Council failures, the school has been unable to use its top field for five and a half years! In spite of this, the School has an outstanding sporting record, but probably has the worst sporting facilities in the County. The two current Hertford County Councillors claim that they are putting the case to their Party colleagues and fighting for the School, but as a Governor I cannot understand why the County Councillors cannot explain why Ware got the money and Richard Hale did not. How are these decisions made? Why cannot there be transparency? Why did their Party prefer Ware? (2) elect an Independent to argue the case for Hertford, ask the questions at County Hall, and tell the voters the answers. This is a classic example of Party Loyalty colliding with Local Need.